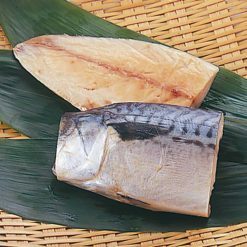 Atlantic mackerel with fat, ash-dried at low temperatures for 24 hours in order to bring out its umami. This Atlantic mackerel is filleted into thirds, and then cured and dried simultaneously at a leisurely rate at temperatures of 0~5℃ using a process called “ash-drying.” The ash used in this case is a mixture of volcanic ash, plant ash, and silica gel. This product contains atlantic mackerel (Norway), table salt.. This product is not suitable for anyone with allergies to mackerel. 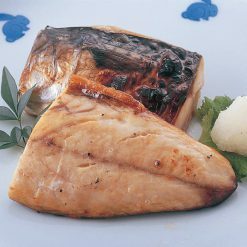 Origin of ingredients: Atlantic mackerel (Norway). Prepared and packaged in Japan.